Many people complain about their insurance but many people don’t know how to get out of their current plans and fin something that works better for them. What people like this need is to learn how to switch auto insurance companies, a task that may seem difficult, but is actually very easy compared to the amount of money you might save, problems you won’t have to worry about, or better service you’ll get with your new company. 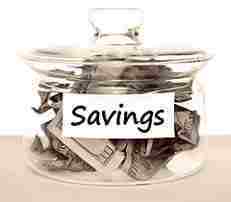 The biggest reason people want to know how to switch auto insurance companies is because they want to save money. A good way to do this is to constantly check quotes from your company as well as others, to see if you could be getting a better deal with another company for the same coverages. So you’ve found a better policy, or you can get the same one you have for a smaller premium. How do you go about changing to your new insurance company? To cancel an insurance policy, you’ll need to send you insurance company a written letter, specifying the date you want your policy cancelled. Your insurer will then respond with a cancellation request form, which you must sign and return. Although this seems like an unimportant step, it may have huge implications for you down the road if done improperly, and you can never simply walk away from an insurance policy without formally canceling it. Some implications may be that your insurance company doesn’t formally acknowledge your termination and reports your failure to pay premiums to your state DMV, tarnishing your credit rating. It is not usually about how to switch auto insurance companies, but the steps you take beforehand that matter the most. One of the most important considerations to take into account is that you need to have secured your new policy before you cancel your old one. That is, unless you don’t mind having an uninsured gap on your vehicle from the time you cancelled your old policy, until the new one takes effect. The best times to cancel an auto insurance policy is generally at renewal, because you won’t need to wait to be refunded, and canceling is as simple as refusing to renew your policy when your carrier sends a renewal notice. Keep in mind that this situation, like the ones described above, may leave you uninsured. If you fail to pay the premium for the final month of your renewal, you must have another policy to cover your vehicle. Even though the policy says it covers you for the final month, if the premium goes unpaid, your policy won’t protect you. Knowing how to switch auto insurance companies can save you a lot of money or even just act as leverage when negotiating with your current company. This information will ensure that your insurance carrier always treats you with the best customer service and the best prices, discounts, and premiums – if they don’t you have the knowledge to walk away to a more inviting offer.